Richmond Flying Squirrels right fielder Jarrett Parker bashed a two-run homer in the first inning against his friend and former University of Virginia teammate Tyler Wilson as the Squirrels grabbed an early 3-0 lead and held on for a 6-2 victory on Friday Night against the Baysox (29-25) in Bowie. The win secured the Squirrels (28-24)longest winning streak of the season at four consecutive games. The Squirrels grabbed control early against Midlothian, Va native Tyler Wilson. Matt Duffy singled with one out and Jarrett Parker followed with a home run to right-center field. The Squirrels continued to apply pressure as Mario Lisson walked and Angel Villalona doubled him to third. Lisson was lifted for pinch runner Myles Schroder due to injury and Ricky Oropesa brought him home with a groundout and a 3-0 Richmond lead. Jack Snodgrass worked out of trouble with two runners on in the first. He struck out Ronald Bermudez to end the threat that began with a Christian Walker walk and a Dariel Alvarez double. Bowie struck for a run in the second using a leadoff walk to Michael Ohlman. Garabez Rosa and David Frietas singled to score Ohlman and cut the lead the 3-1 with just one out. Snodgrass was able to induce Sharlon Schoop into a double play to end the inning. Snodgrass and Wilson both settled in after the first two innings. Snodgrass set the side down in order in the third inning and used another double play, this time from Christian Walker, to end the bottom of the fifth inning. Snodgrass (5-0) pitched 5.2 innings and allowed two runs on six hits with three walks and three strikeouts in his fifth win of the year. Wilson managed to hang on and deal eight innings while allowing just the three first inning runs. Wilson yielded five hits and four walks while striking out four in the tough defeat. The Baysox pulled to within a run, 3-2 in the sixth as Alvarez led off with a single against Snodgrass. Alvarez moved to third on a groundout and scored on an Ohlman base hit. Snodgrasss was relieved by Edwin Quirarte who then stranded the potential tying run by recording the final two outs. Quirarte then worked a scoreless eighth and ninth innings to earn his ninth hold of the year. Richmond gained breathing room in the ninth off reliever Jason Gurka. Skyler Stromsmoe connected on a two-run triple to right-centerfield. Stromsmoe scored on a Matt Duffy single for a 6-2 lead. Cody Hall pitched a scoreless ninth inning to finish the game. The Flying Squirrels continue a brief three game series in Bowie on Saturday at 6:35 PM. Richmond RHP Austin Fleet (3-1,3.63) will make the start against Bowie LHP Tim Berry (3-2, 4.15). 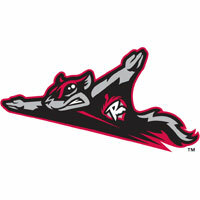 The Flying Squirrels Pregame Warmup begins at 6:05 p.m. on Sports Radio 910 and SportsRadio910.com.